Brain break dance songs are the best remedy for stir crazy and energetic kids. OK, let’s be honest. They’re perfect for all kids! Every teacher needs the amazing tool that is brain breaks! 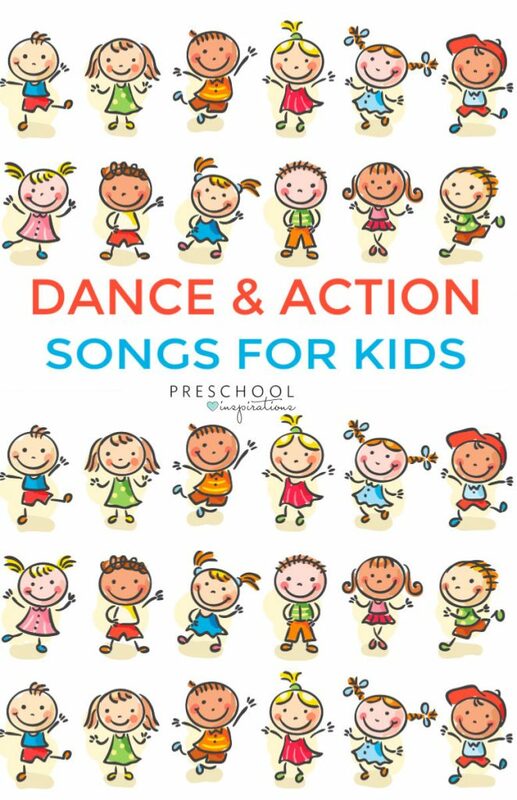 If you haven’t experienced the magic of action and dance songs already, here’s a perfect opportunity to try a few brain break songs in your classroom or in-home preschool. As you know, young kids can have trouble staying focused for long periods of time. They are just not wired to sit still all day. That’s where brain break dance songs come to the rescue! The concept is pretty simple – you take a short break from whatever you’re currently working on. You can take them at regular intervals or anytime you see the kids getting wiggly or losing focus. The benefits of brain breaks are undeniable! They help increase productivity while boosting brain function at the same time. We all know the value of recess during the school day. Think of these action and dance songs as a way to incorporate more recess all throughout the day! 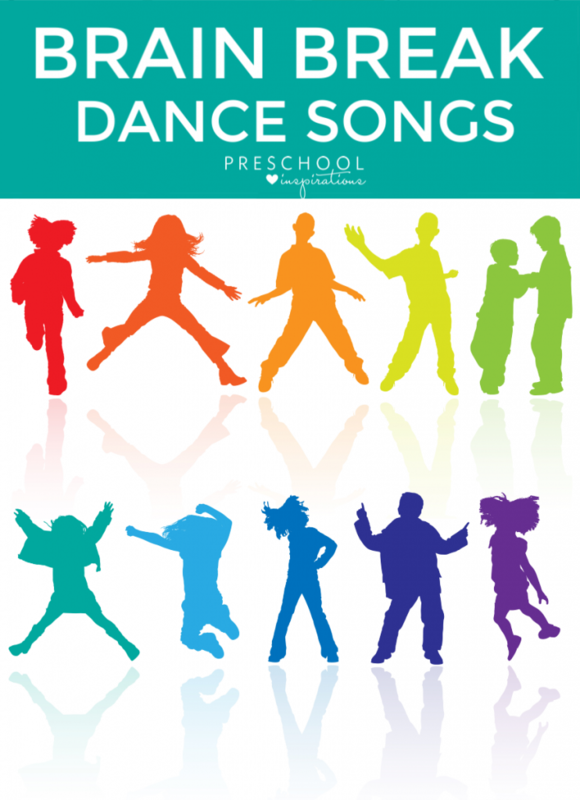 Here are our favorite brain break dance songs for kids, and we think you’ll like them too! Get everyone up and grooving with this irresistible action and dance song! Most kids will already be familiar with the guys of Koo Koo Kanga Roo, so they’ll be much quicker to engage and participate. See it here on Amazon. These next two songs are both variations on a freeze dance for kids. Try them both and see which resonates better with your children – or they might love both! The first one has fun animations, but some kids might be more drawn to dance along with the real people of the second song. You may want to preview the videos and set some expectations before trying so that things like skipping don’t get too wild. See all of their Freeze Dance songs on Amazon. Our friends at the Learning Station have so many awesome brain break songs and even an entire Brain Breaks Action CD. If you’re looking for the classic action song, look no further! This version is extra fun because it speeds up as the song goes on. Varying tempos in a song is a great way to keep the listener’s attention! The animations are super cute, too. See it on Amazon. Another timeless dance song for kids! Can’t go wrong with this one. I particularly like how they include a harmony line along with the familiar melody – being able to pick out or copy a harmony line is a great early musical skill! This song also speeds up as it goes along, which adds a lively twist and helps keep the kids engaged. This song can also be found on the All-Time Children’s Favorites album by The Learning Station. Patty Shukla calls this song “Musical PE,” and it’s a perfect description! Your kids will have a blast following the directions and moving along with her. It also includes a ton of musical goodness like key changes, varying tempos, and simple harmonies. Even though your kids may not recognize these things, they help keep the song fresh and entertaining. See it on Amazon. My kids weren’t with me when I first saw this song, and I bookmarked it immediately because I couldn’t WAIT to show it to them!! I knew they’d love the dramatic play of being a movie star, the fun actions, and the different speeds of the song. I promise your kids will be captivated the whole way through! What a fun little song! There’s more than one song from The Learning Station on here, and it’s no coincidence – they are great at brain breaks and movement, action, and dance songs for kids! See our post of The Best Movement and Action Songs for Children to find their classic Tony Chestnut or see their entire Brain Breaks Action CD. A fun dance song for kids where they get to pretend to be robots. This one is great for following directions and for critical thinking while dancing – the directions repeat and add on top of each other, so the kids will have to pay close attention! The ending is also very clever. See it on Amazon.